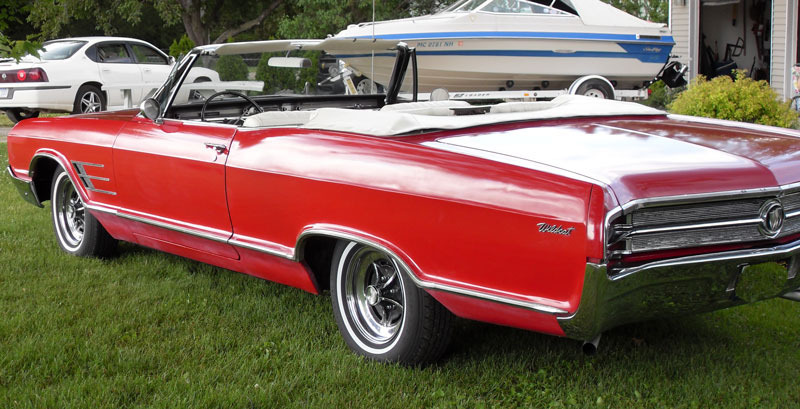 This red and white 1965 Buick Series 46600 Custom convertible is a nicely restored classic car ready to be enjoyed and shown. The car was built by a professional Buick restorer. The sand-blasted and painted chassis has been completely rebuilt with the body off, including new brakes with stainless lines, springs, ball joints and rubber. The body is very straight and solid and has a nice red paint job. The car has a new white interior and top. The bumpers are new. 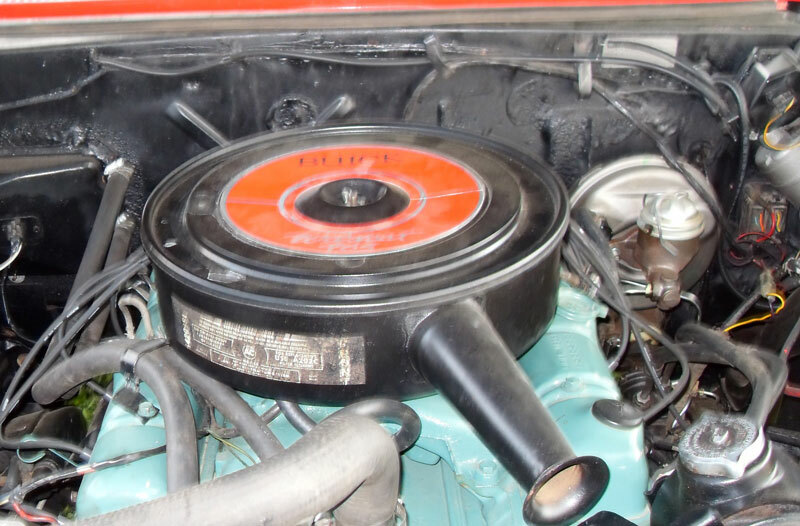 The optional 425 CID 340- HP V-8 and 400 Super Turbine automatic transmission have been rebuilt. 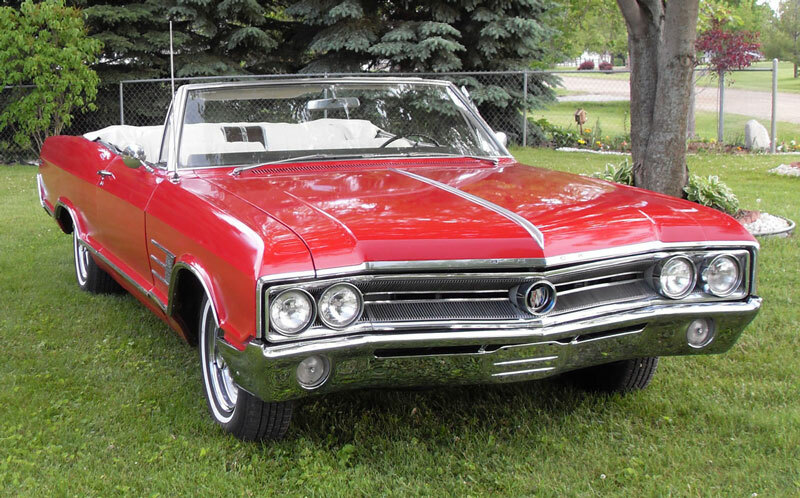 Here is your opportunity to own and drive a beautiful red and white 65 Wildcat convertible. 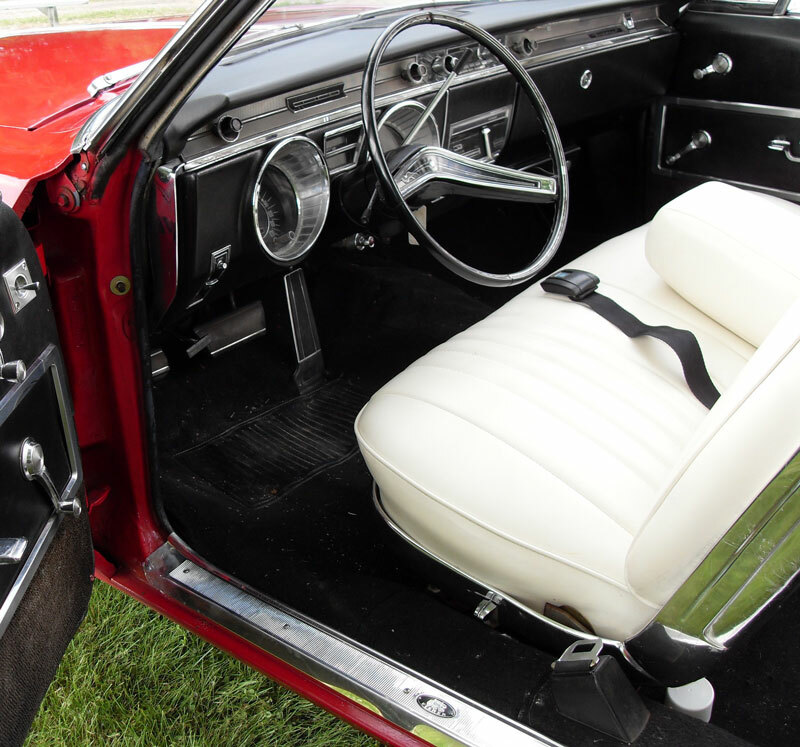 Please call (406) 318-0270 for details about this restored classic 1965 Buick car. For sale $25,000.